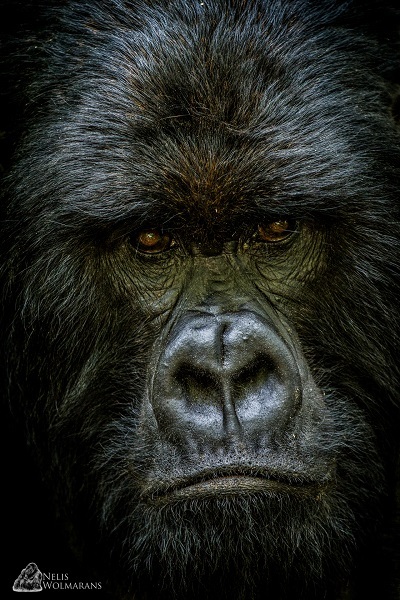 In 2003, a Silverback named Kwitonda led his family across the border from Virunga National Park in the DR Congo to the Volcanoes National Park in Rwanda. The family settled in the area between the volcanoes, Mount Sabyinyo and Mount Gahinga. 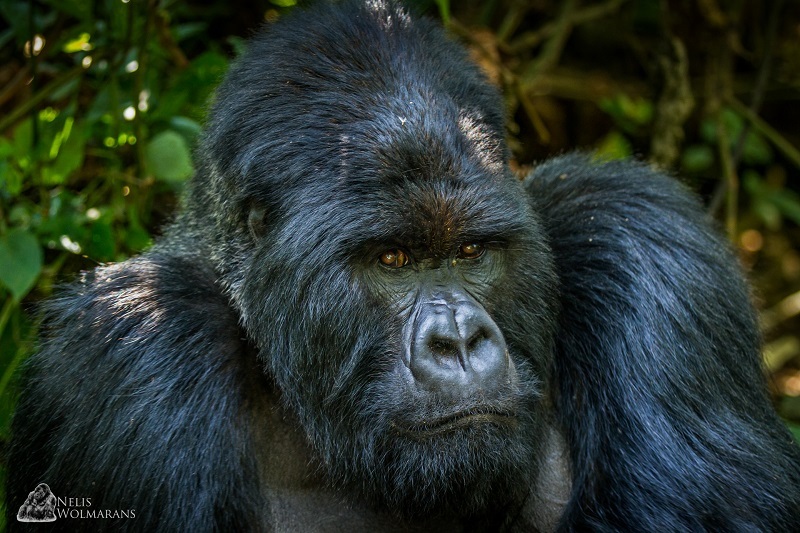 It is believed that pressure from other gorilla families and possibly lone Silverbacks looking to start their own families were the reason for this move. 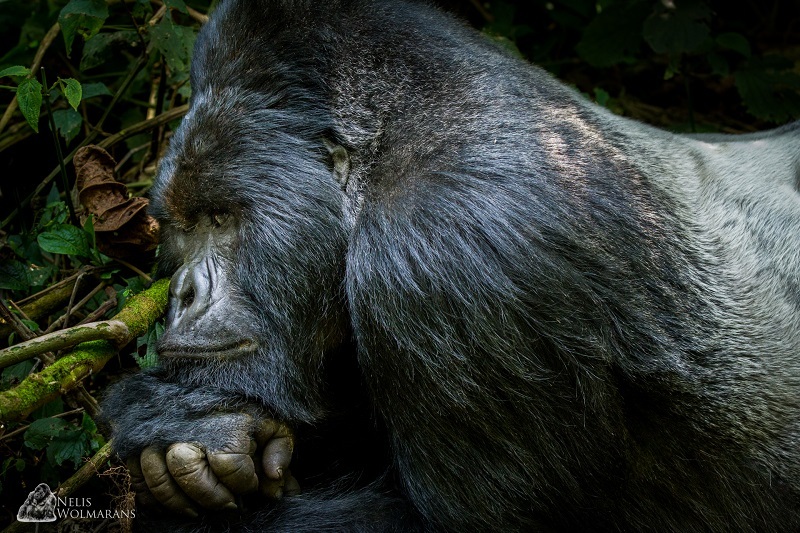 The Kwitonda family, named after their dominant Silverback still occupies this area today, but now under the dominance of Akarevuro, who was one of the sub-dominant Silverbacks of this family during Kwitonda’s reign. Sadly, Kwitonda’s body was found on the 10th of September 2012 at a ripe old age estimated at 40 years. In the last few years prior to his death, Kwitonda showed signs of deteriorating health, associated with his age. Pressure from the other 3 silverbacks in the family, Akarevuro, Kigoma and Magumu, also took a toll on the old Silverback’s health. As his body was only discovered 10 days after he disappeared from the family, it was not possible for the Gorilla Vets to determine the exact cause of death, but it is believed that he died of natural causes. Interesting behavior showed by the old Silverback was when towards the end of his life, he started to allow mating by some of the other Silverbacks in the family. It was as if he knew that he was not strong enough anymore to protect his family against rival males himself. By allowing the other Silverbacks to mate, he strengthened their bond to the family and so ensuring the protection of this group. Under normal circumstances, young Silverbacks, refused the right to mate, will leave their family and move off in search of other families to concur. Kwitonda must have sensed this and therefore the unusual behavior. Today, the 28 strong Kwitonda Mountain Gorilla family is one of the largest families in the Volcanoes National Park, second only to the Pablo family at 33 members. Still today, 14 years following their migration to the Rwandan side of the Virunga, Volcanoes National Park (Rwanda) contributes 50% of the funds generated through tourism to the Kwitonda family, back to the Virunga National Park (DR Congo).